For-bro Engineers are the leading manufacturer and exporter of Packaging machines & Equipments. An ISO 9001:2008 company building finest Auger Fillers, Volumetric Cup Fillers, Form Fill and Seal Machines. We are leading Designer, Manufacturer and Exporters of wide range of Packaging machines and Equipment suitable for various industries such as Pharmaceuticals, Cement, Grease, oil & Lubricant ,Chemical, Pesticides, Fertilisers, Food, Agriculture, Dairy and Health. Large number of packaging machines and equipment’s are successfully running all over India, South Asia, Africa, Middle East, Indonesia, United Kingdom and New Zealand. Over 35 years of Experience, Innovative use of cutting edge technology, Modular construction, Adaptive design and High quality manufacturing process helps us to deliver some of the finest packaging machines available in industries. We manufacture Wide range of Auger Fillers, Volumetric Cup Fillers, Form Fill Seal machines, Band Sealers, Single and Multi Head integrated Filling, capping and labelling machines for Powders, Granule, Liquid and Paste. 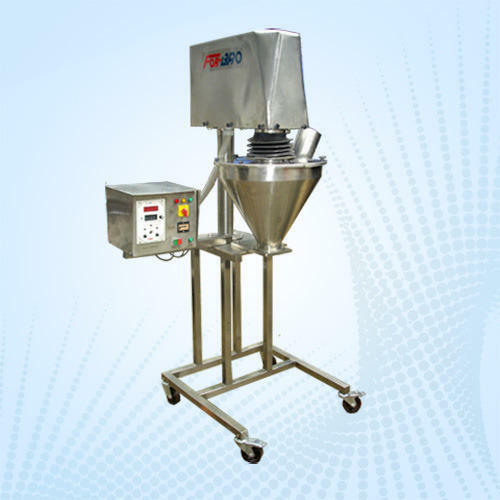 We also manufacture high performing processing equipment’s such as Blenders, Sifters, Conveyors, High speed Stirrer, Colloid mill Multi-mill. These machines are available in wide range of models and capacity to suit product and production requirements. It’s our privilege to work with you on your specific requirements and build customized Packaging Solutions.